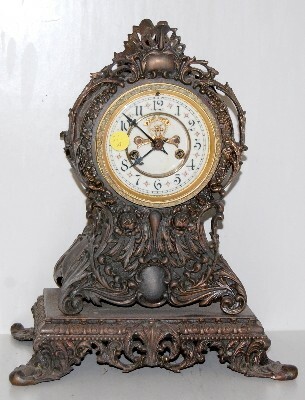 Waterbury "Vorick" Ornate Antique Metal Clock porcelain dial; open escapement. (Piece of metal trim on the back is missing.) 14 3/4"